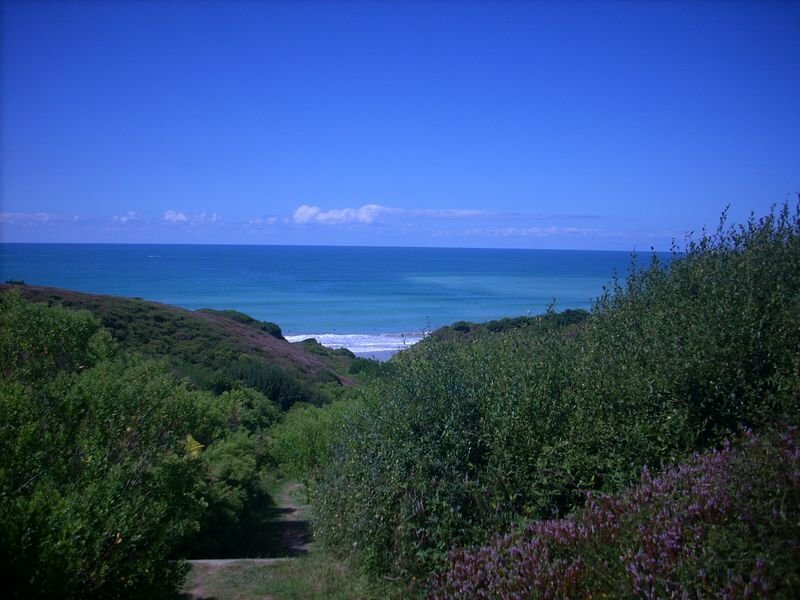 Bidart’s beaches are just 1200 metres from the Oyam Campsite. 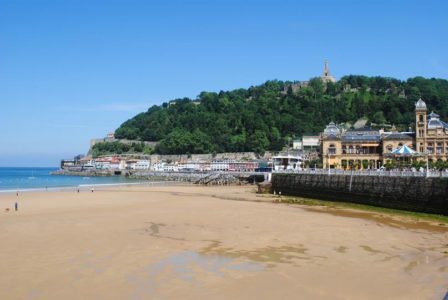 Bidart has six beaches over a 5-km stretch: Ilbarritz, Pavillon Royal, Erretegia, Centre, Uhabia, and Parlementia. Lifeguards keep watch over the summer sun-enthusiasts on the beaches. 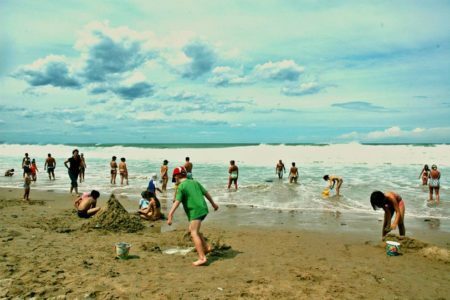 Water and weather permitting, you will see lots of swimming, wading, sandcastle-making, surfing, windsailing, kite-flying, and bodyboarding! The cliffs and shoreline are beautiful and certain to enchant you, especially if you hike along the Sentier Littoral (shoreline path). 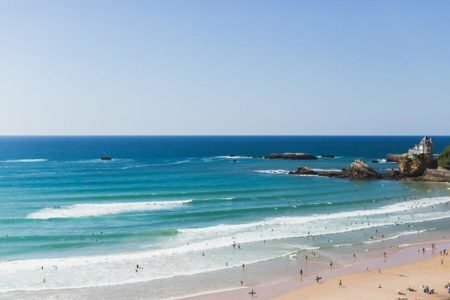 It offers 25 km of stunning sights starting from Hendaye on the Spanish border, and runs near the Oyam Campsite (800 metres away on the Route de Biarritz). Free shuttle bus to the beach! Regular Shuttle ! Getting to the beaches with your whole kit and caboodle has never been easier ! The summer shuttle services the beaches and the city centre. It runs by the Oyam Campsite about every thirty minutes during the months of July and August. Full details available from the main office. By foot to the beach ? 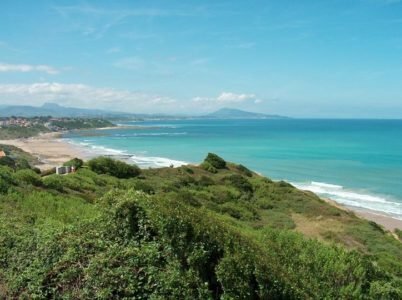 From the campsite, there is a pedestrian path that allows you to reach the beaches in 15 to 20 minutes. 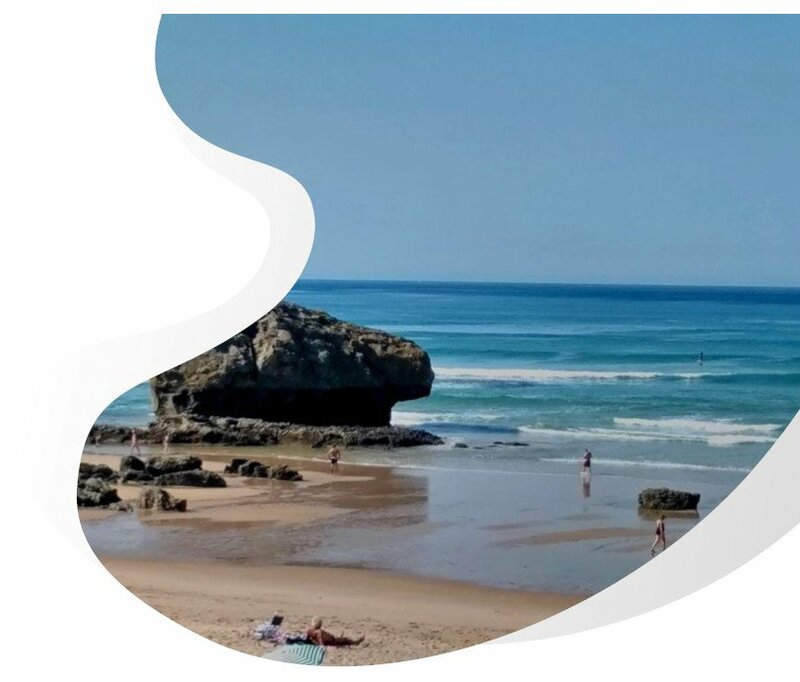 A communal beach shuttle can take you to the beaches of Bidart, Biarritz and Anglet. The shuttle is free in July and August. A participation will be requested in low season. In Bidart, all beaches are supervised in season for the safety of young and old alike. 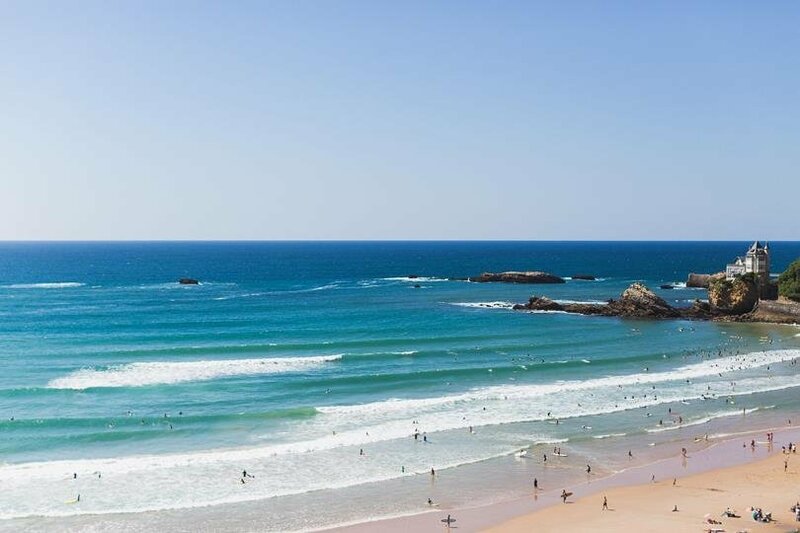 Between Hendaye and Landes beaches like Hossegor, Bidart is in the heart of the Basque coast. You can discover a new beach every day. You will be surprised each time by the colours and movements of the Atlantic Ocean. Lovers of seaside walks will be spoiled by the Basque coastal path that will take you to the rock of the Virgin of Biarritz, for example! 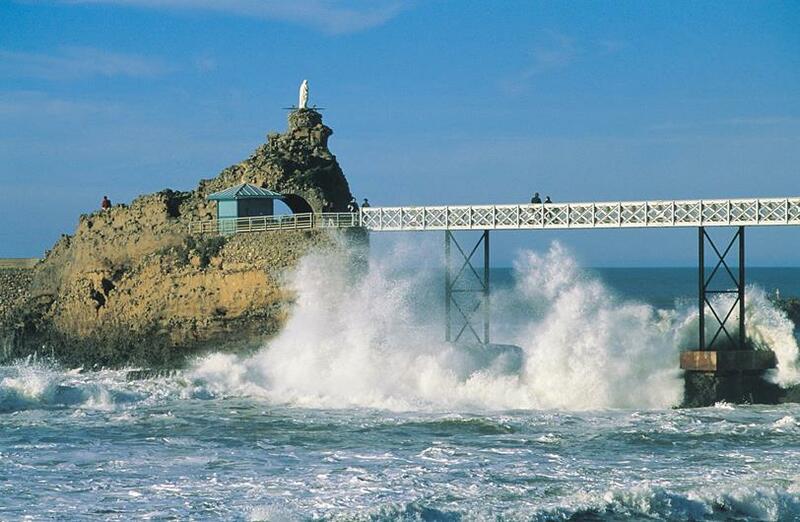 Thrill guaranteed during high tides On the seaside promenade, you will discover the aquarium of Biarritz, our partner. You will have preferential rates for entry to the aquarium.